Immigration/Green Card Through Employment | Chicago Immigration Lawyer | Bankruptcy Attorney | Personal Injury Law Firm | Ebere N. Ekechukwu & Associates, P.C. Executives and Managers of Multinational Employers transferred to the U.S. Under this category, no Program Review Electronic Management (PERM) labor application is required but the foreign national is required to complete the process with either an adjustment of status (AOS) or consular processing (CP) application. Under this category, in most cases, the employer is required to obtain approval through Program Review Electronic Management (PERM) application from the U. S. Department of Labor before filing for Green Card for the foreign national. Under this category, the employer is required to obtain approval through Program Review Electronic Management (PERM) application from the U. S. Department of Labor before filing for green card for the foreign national. Under this category, the employer is not required to obtain approval through Program Review Electronic Management (PERM) application from the U. S. Department of Labor before filing for green card for the foreign national. Approval from the USCIS is required however. Fifth – EB-5 Preference Category consists of employment creation or investors, that is, engaging or starting a new commercial enterprise in the U.S. and showing that the new enterprise will either directly or indirectly create 10 or more jobs. Under this category, the foreign national may self-sponsor and does not need a U.S. employer or an approval through Program Review Electronic Management (PERM) application from the U. S. Department of Labor before filing for green card. Contact us today at (312) 362-9844 and we can help you. The Law Office of EBERE N. EKECHUKWU & ASSOCIATES, P.C. provides advice, guides and represents employers and businesses who are seeking to sponsor foreign nationals for employment based U.S. immigration benefits in any of the EB categories: EB1 – aliens of extraordinary ability and outstanding professor/researcher; EB2 – (1) Members of the Professions Holding Advanced Degrees, that is, persons whose jobs require an advanced degree (2) Persons of Exceptional Ability; EB3 – skilled workers, Professionals, and Other or unskilled workers; EB4 – religious workers and certain “special immigrants” We also represent qualified EB5 investors. We are experienced and represent employers, businesses and foreign nationals for the employment based permanent residence or green card process. 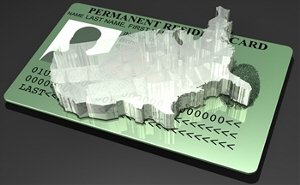 Most Employment Based immigration visas or Green Card cases require three steps. First is the Labor Certification/Program Review Electronic Management (PERM) a process by which the employer must apply to and the U.S. Department of Labor certifies that there is a lack of qualified U.S. workers in your job category. After certification/approval by the U.S. Department of Labor is the filing of a petition for immigrant worker with the USCIS. 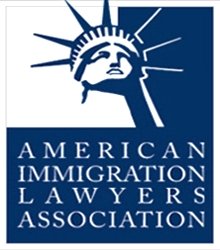 The third and final step, once the USCIS approves the petition for immigrant worker, the foreign national applies for adjustment of status, that is, will apply for immigrant visa or Green Card with USCIS or for the foreign national living overseas, he/she will consular process for the Green Card. E-1 (treaty trader) and E-2 visas (treaty investor) are for citizens of countries with which the United States maintains treaties of commerce and navigation. The investor must be coming to the United States to engage in substantial trade, including trade in services or technology in qualifying activities, principally between the United States and the treaty country; or develop and direct the operations of an enterprise in which you have invested a substantial amount of capital. E-3 Visas for Citizens of Australia in a Specialty Occupation: E-3 visas are available for Australian citizens who are coming to the United States to work in an occupation that requires a bachelor’s degree or its equivalent. H-1B Visas for Professional Workers/Specialty Occupations: are available for foreign nationals coming to work in a specialty occupation. The employee must have a bachelor’s degree or the equivalent experience. H-1B status is usually granted for a maximum of six years but an employee may receive extension beyond the six year period if the employee is in the process of applying for immigrant visa or permanent resident status. H-1B visas are also available to fashion models of distinguished merit and ability and government-to-government research and development, or co-production projects administered by the Department of Defense. H-1B1 Visas for Citizens of Chile: The U.S.-Chile Free Trade Agreement, which took effect on January 1, 2004, created a new class of non-immigrant work visa for Chilean citizens, the H-1B1 Professional Visa. The visa allows qualified Chileans to live and work in the United States, accompanied by their spouse and dependent children. Only Chilean citizens are eligible as principal applicants. H-1B1 visas are multiple entry and valid for a maximum of 18 months. Extensions and renewals are allowed. H-1B1 Visas for Citizens of Singapore: The U.S.-Singapore Free Trade Agreement, which took effect on January 1, 2004, created a new class of non-immigrant work visa for Singaporean citizens: the H1B1. Only citizens of Singapore citizens are eligible as principal applicants. H-2B Visa for Temporary Non-agricultural Worker: This visa is limited to citizens or nationals of designated countries, with limited exceptions, if determined to be in the United States interest. H-3 Visa for Trainee or Special Education visitor: This visa is for receiving training, other than graduate medical or academic, that is not available in the trainee’s home country or practical training programs in the education of children with mental, physical, or emotional disabilities. J -1 Visas or Exchange Visitor visas are nonimmigrant visas for individuals approved to participate in exchange visitor programs in the United States such as Physicians/Foreign Medical Graduates, Professors and Research Scholars, Teachers, Trainees, Interns, College or University Students, Secondary School Students, Summer Work Travel, Short-term Scholars, Camp Counselors, Specialists, Au Pairs, International and Government Visitors. L-1 Visas for Transfers of Managers/Executives and Specialized Workers: To work at a branch, parent, affiliate, or subsidiary of the current employer in a managerial or executive capacity, or in a position requiring specialized knowledge. Individual must have been employed by the same employer abroad continuously for 1 year within the three preceding years. O Visas are for persons with extraordinary ability or achievement in the sciences, arts, education, business, athletics, or extraordinary recognized achievements in the motion picture and television fields, demonstrated by sustained national or international acclaim, to work in their field of expertise. Includes persons providing essential services in support of the above individual. P-1 Visas: are for persons coming to perform at a specific athletic competition as an athlete or as a member of an entertainment group. Requires an internationally recognized level of sustained performance. Includes persons providing essential services in support of the above individual. P-2 Visas: Are for performance under a reciprocal exchange program between an organization in the United States and an organization in another country. Includes persons providing essential services in support of the above individual. P-3 Visas are for certain types of performers and athletes: coming to perform, teach or coach under a program that is culturally unique or a traditional ethnic, folk, cultural, musical, theatrical, or artistic performance or presentation. Includes persons providing essential services in support of the above individual. Q-1 Visas for persons participating in an International Cultural Exchange Program designated by the USCIS, and intended to provide foreign citizens with practical training in the United States, while permitting them to introduce the culture, history, and traditions of their respective home countries to the United States. R-1 Visas for Religious Workers: Temporary religious worker (R-1) visas are for persons who want to enter the United States to work temporarily in religious capacities. TN Visas for Citizens of Canada and Mexico professionals who wish to work in the United States in a specific occupation listed in the North American Free Trade Agreement (NAFTA). There is no numerical limit or cap on the number of TN visas that may be issued in a fiscal year.